$54.00 Ships within 24 hours. Burning the extra weight is the challenge many people are facing on a daily basis. Some get exhausted in brutal gym programs, others get absorbed into endless severe diets, but the results are never enough satisfying. The key successful factor to get rid of the extra fat is to burn it naturally. Do not push too much, go smoothly and understand your body exact needs. What your body needs is actually a balanced and rich diet, enough heat and energy, and the help of a natural fat burner. Slim9™has been proved to be the most successful weight loss program because it brings energy and a reinforced blood flow to help stimulating a natural fat burning process. 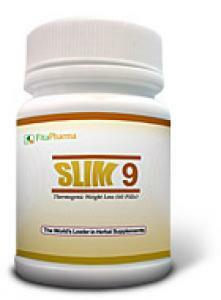 Slim9™ is a remarkable thermogenic product which helps you keep off the weight. It naturally triggers burning the excess of fat stores in your body and works as an energy enhancer. One thing is sure, the more you get deprived from something you like, the more you get frustrated, and the faster you break your diet and get back to the same bad nutrition habits, and even worse. This is why diets generally do not work in most cases. With Slim9™ you do not have to deprive yourself from any kind of food, it does not require any dieting changes and thus do not interfere with your eating habits. The quality results achieved by Slim9™ are continuously controlled through surveys conducted on its users who have always expressed full satisfaction. The unique formula of Slim9™ is based on thermogenesis. This property provides a thermogenic effect that works on burning the extra fat naturally. Thermogenesis is the way in which the metabolism rate of the body increases above the normal level, and as a result the body generates extra heat and energy and increases blood flow. This effect of extra heat burns the extra fat in the body and decreases appetite. During the process of burning that extra fat, free fatty acids and glycerol get broken into small particles, which facilitates their automatic burning and evacuating course. The essential extracts of Commiphora mukul and Garcinia combogia combined in Slim9™ unique formula, stimulate that lipolytic activity and allow your body to burn the extra fat and turn it into energy. As a result, you get noticeable and quick weight loss through that fatty acids breaking process, along with a remarkable increase in energy level. Take 2 to 3 capsules of Slim9™ daily with a glass of water for effective results. Following the course regularly will ensure significant weight-loss and well-being. Each bottle of Slim9™ contains 60 capsules and is a 1 month supply. Slim9™ helped men and women to lose 2kg per month and up to 8kg per month When Slim9™ is combined with an increased activity and a reduced daily caloric intake. We believe that a product takes its merit from the quality of its ingredients and Slim9™ composition is carefully selected. It combines efficient ingredients with a studied dosage to guarantee the best of both Efficiency and Safety. Slim9™ proudly stands among the world's best fat burning products, and customers' reorders give an additional evidence of the product's rewarding results. Slim9™ is SAFE, manufactured under strict quality control guidelines and following the International Manufacturing Standards. It contains phytosterols, gugulipids, and guggulsterones. Also known as Guggul, it is medicinally valued as a weight loss agent that supposedly enhances thyroid function. It is also recommended for lowering cholesterol level and contributing to the build-up of the immune system. It contains tartaric acid and phosphoric acid (as calcium triphosphate). Also known as Vrikshamala, it is useful in reducing food intake by suppressing appetite, and also in reducing body fat. It inhibits the absorption and synthesis of fat, cholesterol and triglycerides. 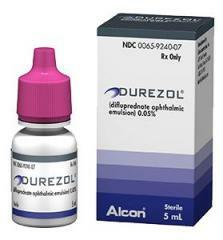 It contains chebulagic, chebulinic acid and corilagin. Also known as Harde, it is a potent purgative and useful in removing toxins and fats from the body. It also possesses antibacterial properties and myocardial depressive properties. It contains ß- sitosterol, gallic acid, ellagic acid, ethyl gallate, galloyl glucose, chebulagic acid. Also known as Baheda, it has potent cholesterol lowering activities. It possesses antibacterial properties and is employed in dropsy, piles and diarrhea. It is also a valuable remedy for leprosy, fever and hair loss. Also known as Amlaki, it principally improves food absorption, useful in dyspepsia and hyperacidity and balances stomach acids. It is used as a general tonic and improves memory and intelligence. It contains Zingiberene (a- and ß-zingiberene), Zingiberol. 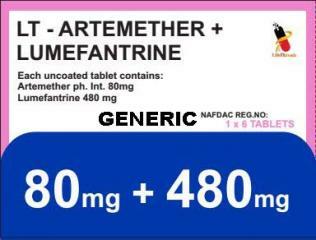 Also known as sunth, it is used as a Carminative and stimulant to the gastro-intestinal tract. 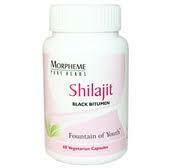 It also possesses anti-depressants properties and works as rejuvenator. It contains Piperine, Chavicine, Piperidine and Piperettine. Also known as Kali Mirch, it possesses bacteriostatic and fungistatic properties. It is useful in improving blood circulations, muscular aches, exhaustion, fevers, dyspepsia and flatulence. It contains Piperine and Piplartine. Also known as Pippali, it is useful for respiratory tract disorders. It is renowned general tonic and hematinic and can be used for muscular pains and inflammations. Store Slim9 Capsules at room temperature.